A feature documentary from Inferno Films. You’ll hear about the heartbreaking events that cause homelessness, and the heartwarming stories of being welcomed into a nurturing environment where dignity and self-worth are restored. You will witness what can be achieved when a community comes together. We are anxious to share this flourishing model and hope to not only contribute to its growth in Austin, TX but possibly inspire other cities and towns throughout the U.S. in using this blueprint to build their own version of Community First! Village. Learn about Community First! Village. 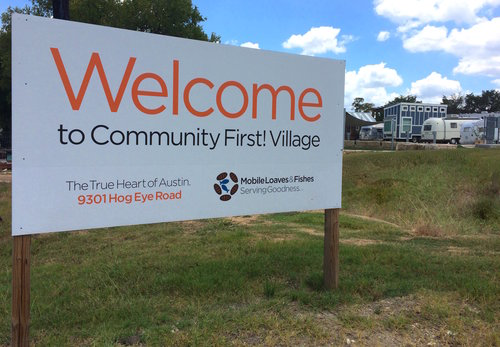 This village is the epicenter of innovation in our country in terms of what can be achieved when a community comes together to address homelessness.